Just outside of Birmingham, a quick drive down I-459, Birmingham locals and visitors enjoy a golf experience like no other at Bent Brook Golf Course. With 27 holes on three courses, Bent Brook offers challenging, enjoyable play with a beautiful view and a pleasant atmosphere — club-quality golf like you’ve never played on a public course. Bent Brook opened in 1988 and quickly claimed its spot among the premier golf courses in central Alabama. Our full renovation in 2016 has made play at Bent Brook even better, down to the sand in our bunkers and the one-of-a-kind variety of bent grass on our greens. Book your tee time to see why Bent Brook is Birmingham’s home for golf. 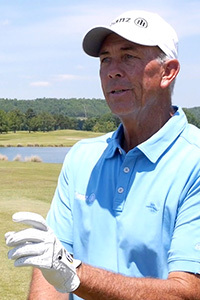 We talk to professional golfer Tom Lehman about the importance of bent grass and the quality of a private course that’s accessible to the public.